Parents are often telling their children that they “need to be more grateful” but as adults are they truly grateful themselves? We rush from one thing in life to another and rarely take time to be truly grateful for the important things in our lives. He lies in bed, puts his hand on his heart, lowers his breathing and really speaks from his heart. The things that he has expressed have amazed us with responses that we didn’t expect from a little boy and it has literally brought tears to our eyes. It’s not because he’s a budding zen-like master. He’s like any young boy who loves treats, toys and material things. 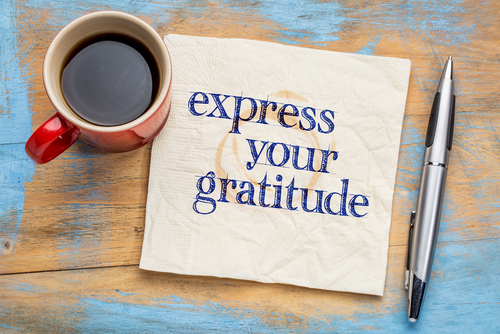 The process of dropping into your heart and expressing gratitude is where the magic happens – and taking the few minutes to be truly grateful.